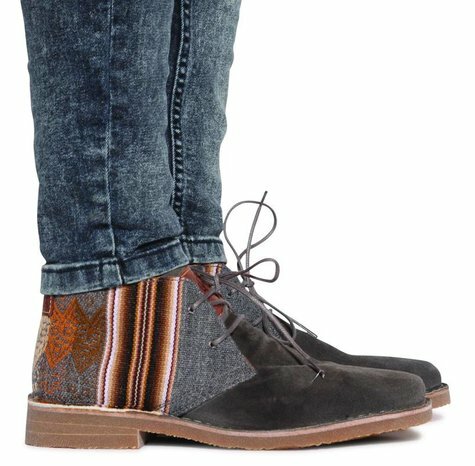 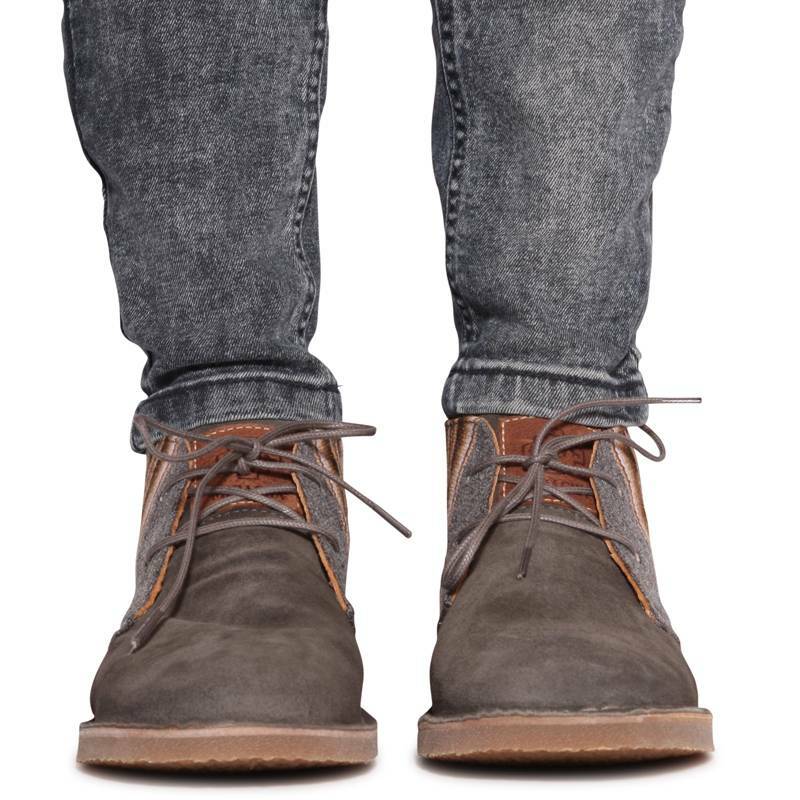 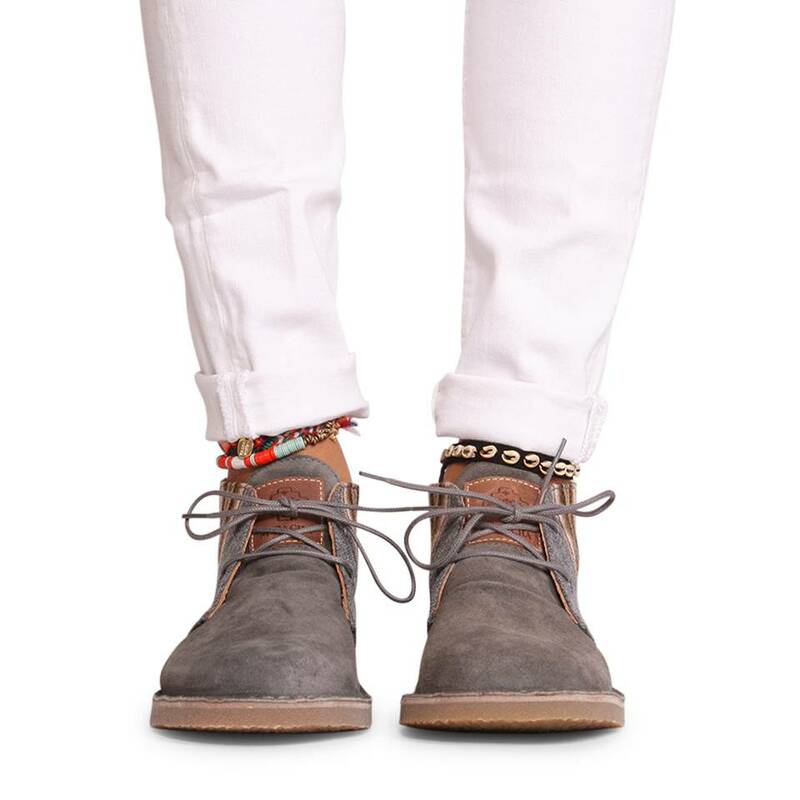 The ‘Desierto’ is a unique design and handmade Desert Boot. 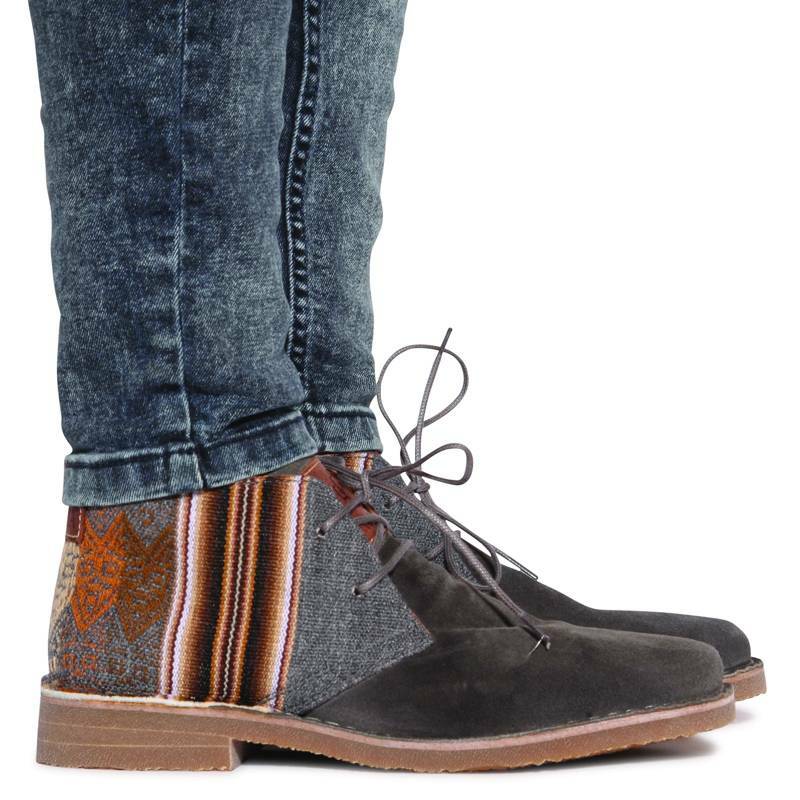 The boots are made by Portuguese craftsmen, using the typical Peruvian MIPACHA textiles combined with quality full grain suede leather. 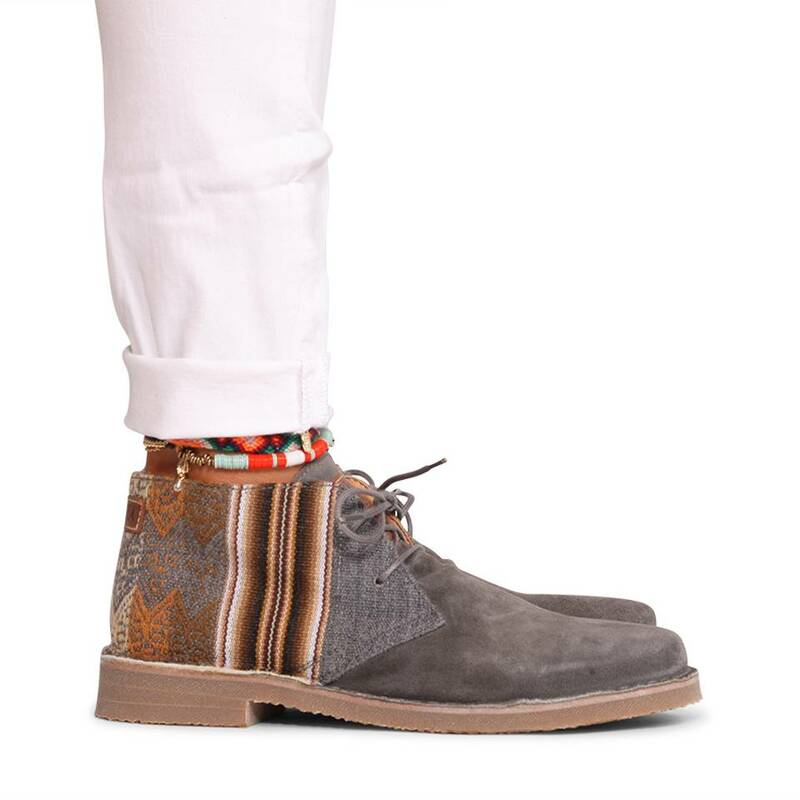 The ‘Desierto’ has a smooth leather lining and padded insole providing comfort. 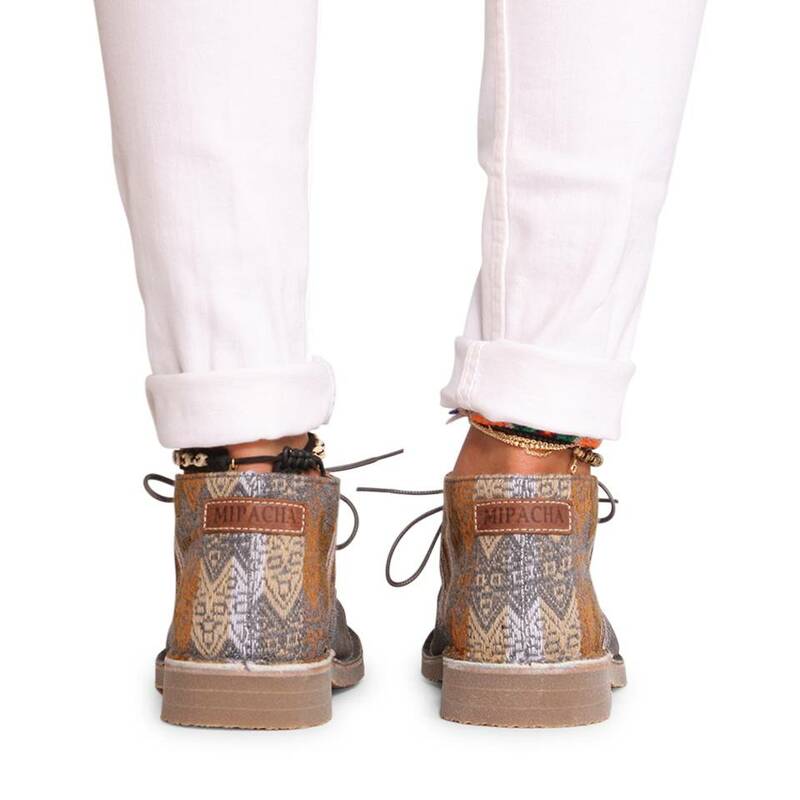 Its comfort is accentuated by the shock absorbing typical crepe sole with tread and stitch details. 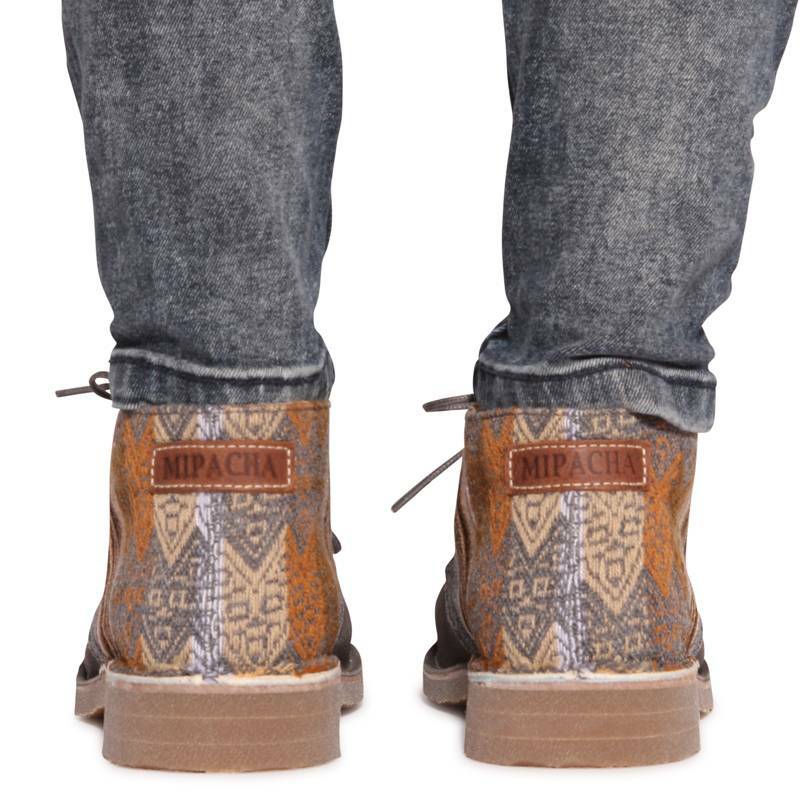 The typical leather MIPACHA logo is stitched on the tongue and heel of the shoe.